Yesterday, I mentioned that my family will be celebrating Sukkot on Thursday and Friday this week. Before the holiday, a lot of families work together to build a sukkah for their own homes. We do not have a sukkah, but there are plenty around for us to visit. 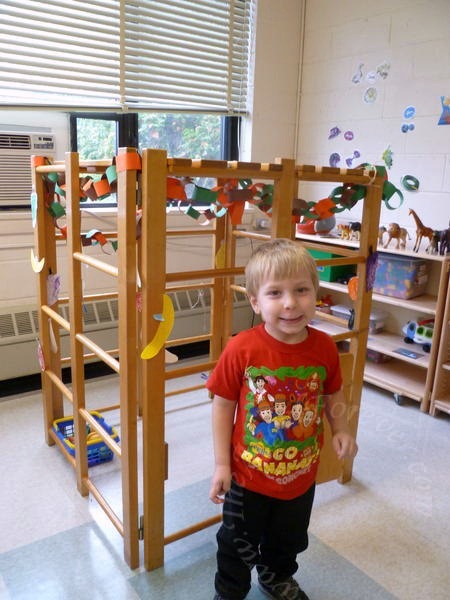 Check out the little sukkah that JSL’s classmates made in their own room the other day. The weird smile is courtesy of a cold just in time for the holidays. Then, JSL showed me the craft that they had made. 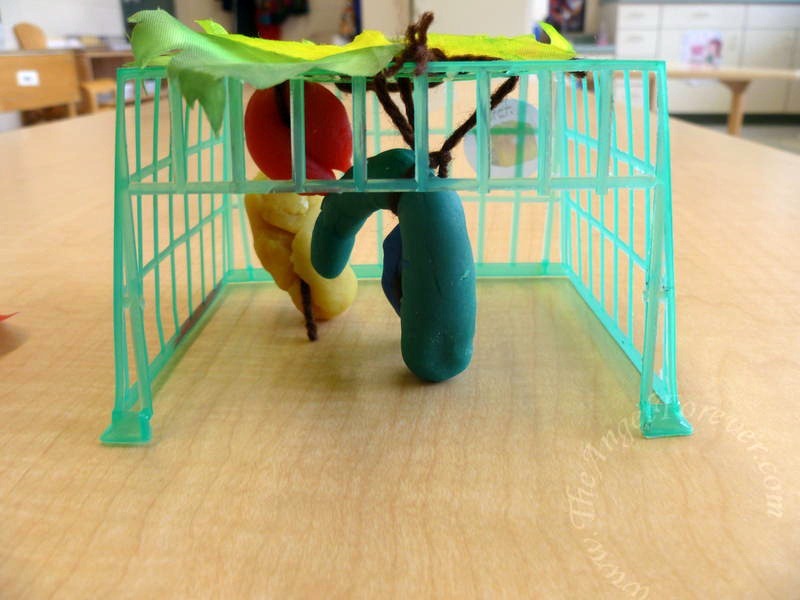 The kids each made a teeny tiny sukkah with Play-Doh decorations to bring home. This was SO cute and something I had never seen before. On the way out, we were told to head out to the big sukkah outside. In there, JSL would be able to show me the decoration that he made for the community sukkah. So we walked outside into the sun and explored the sukkah. We wandered around looking at what each of the classes made. Then we found the group from his room. 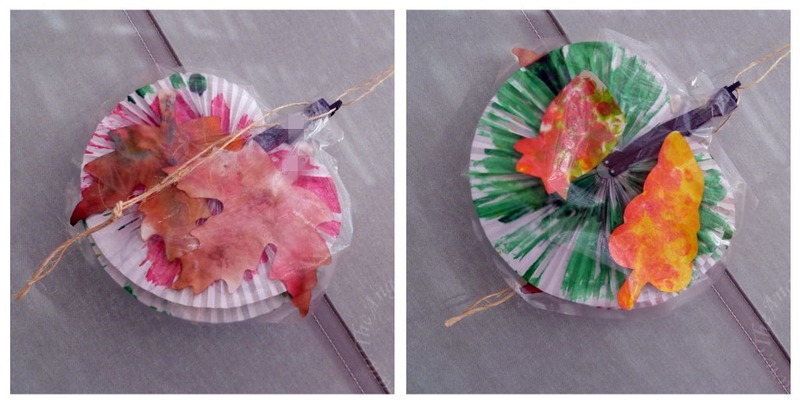 Here is JSL’s creation for the Sukkah. 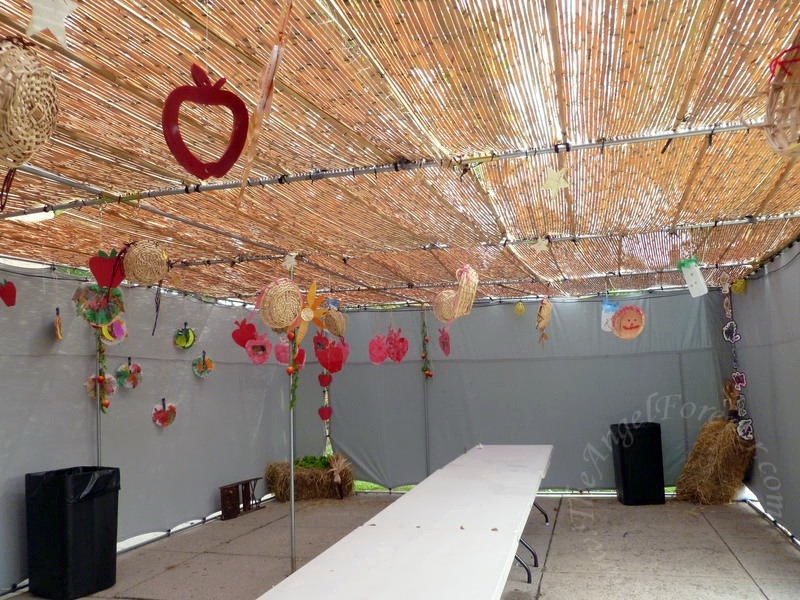 Have you ever been to a Sukkah before and how was it decorated? If you have not, how would you help with the decorating fun if you went to one? P.S. Don’t forget to enter my three current giveaways (1) Real Steel prize pack, (2)Star Wars Cereal and $25 gift card pack, and (3) Three copies of the book The Girl Who Never Made Mistakes. We’re not Jewish, so I’ve never had the opportunity to go to one before. I’m not even sure how to decorate for it. But it looks really neat! I must also admit I’ve never even heard of it before. Looks interesting, though. I haven’t heard about this festival also.. just went over to the other post you linked here to read about it.. oh..it’s a jewish tradition..
I’ve not heard of this before. I will have to go read your other post on it. 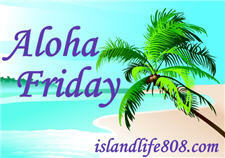 Menopausal New Mom´s last blog post ..Aloha Friday – What Color is Your House? I’ve never heard of it until now. Just read your post and learned something new. Thanks for educating me! That Playdoh one is a good idea. 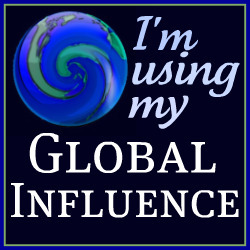 Harriet´s last blog post ..Are you using Google +? I have never been to one… or heard of it??!!?? 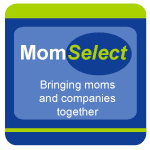 I have never seen one or been to one, very interesting. 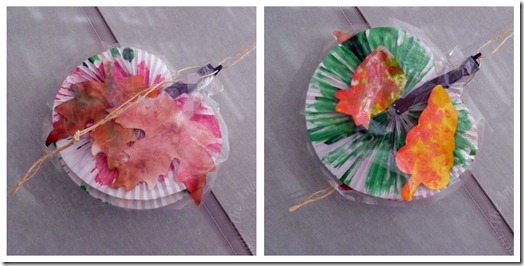 Gigi Ann´s last blog post .."Aloha Friday"
I haven’t, but my friends did decorate theirs (from what I could see in their pictures) beautifully. I think they actually used paper chains to decorate! I’ve never heard of this before, and don’t know how I’d decorate one. I’ll have to read about it. If you have any Christian friends/blog readers, they may be familiar with Sukkot if you call it the Feast of the Tabernacle. that is cool! Love the decorations! I linked up to my other Sukkot post, which has an article on Wikipedia that mentions the Feast of the Tabernacle. 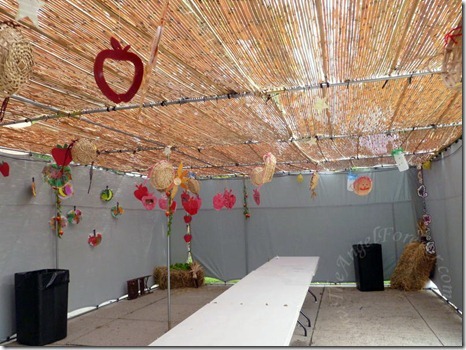 I was floored that after all of these years of blogging, I had never actually done a post about Sukkot. Not really sure how that happened. Love your family sukkah project and how it is growing.